Merrill is the largest campground on Eagle Lake with 173 sites and is only two miles from the Marina and Gallatin Beach. Recently renovated, Merrill offers full and partial hook-ups, grey water dump areas and longer, wider parking spurs. We can accommodate anyone’s needs. The new sites will hold the largest of RV’s to tents and everything in between. 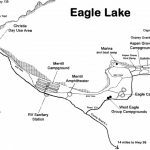 This is a great family campground with easy access to the rest of Eagle Lake Recreation Area via the paved hiking and biking trail. It is also located next door to the Amphitheater where most of the interpretive programs are hosted. Ponderosa and Pine loops contain the much-sought-after waterfront sites. Most of these standard sites (no hook-ups) offer an unobstructed view of the lake. As part of the renovation, eight handicap accessible sites were added. These are full hook-up sites with paved pads for easy access to the fire ring and special wheelchair accessible picnic tables. They are also grant wheelchair access to the nearest restrooms via paved paths. Merrill now offers two full hook-up small group / double sites great for family events. 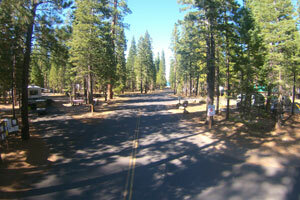 These sites are equipped with hook-ups for two RV’s and will accommodate up to 16 people. 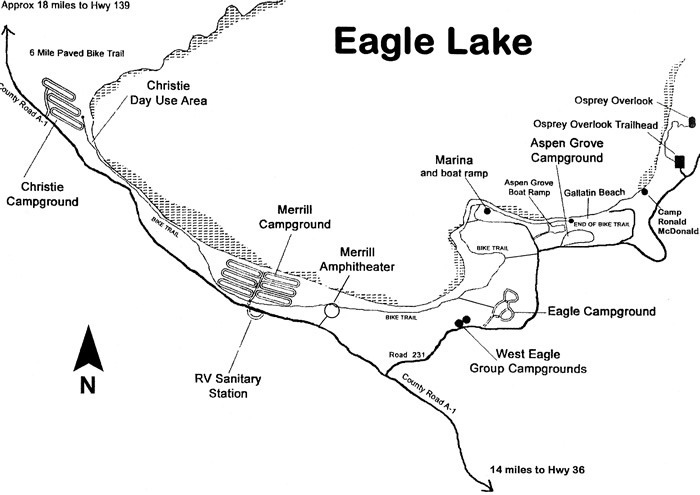 All camping guest of the Eagle Lake Recreation Area are welcome to tie their boats on the shoreline at Merrill or hand launch kayaks and canoes for no fee. Most boats moored on the shoreline are anchored bow out in shallow water, with an additional anchor on the shore to secure the stern towards the shore. Heavy bungie ropes and anchors are recommended for this purpose. No stakes are allowed in the water. There is day use parking located by the water for your convenience. Reservations for the 2019 season are available for 60% of the sites from May 15 – September 2. After September 2, all campsites are first-come, first-served walk-in sites with no stay limits. Walk-ins are welcome throughout the season, from May 15 – October 27. The actual closing date for Merrill Campground is weather dependent, it could close earlier in October, or could be open into November. Please call the host at (530)825-3450 or the Marina at (530)825-3454 for that information.